Bake cinnamon rolls according to package instructions. While cinnamon rolls bake, place chocolate-hazelnut spread, milk and powdered sugar in a small bowl. Microwave for 1 minute. Stir to combine and spread over warm cinnamon rolls fresh from the oven. Swap out: Use this chocolate glaze on any Pillsbury™ ready-to-bake products and top with sprinkles or nuts for a fun activity with the kids. 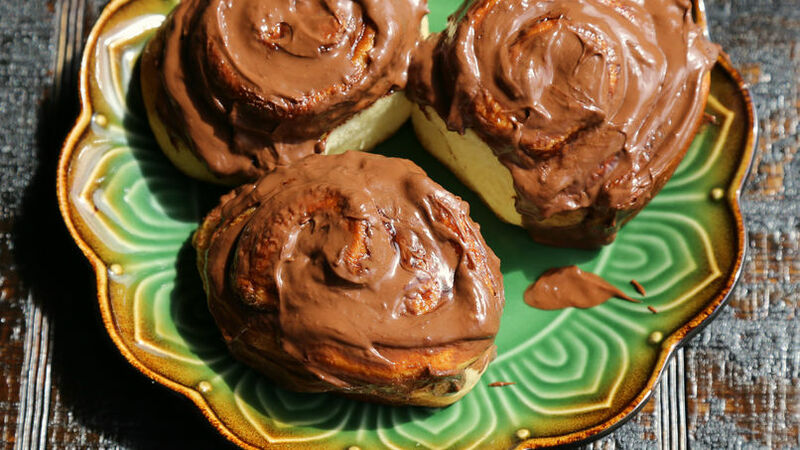 These hazelnut chocolate spread cinnamon rolls are super easy to make with the help of Pillsbury™ cinnamon rolls. Baked and topped with a creamy chocolate and hazelnut glaze, they will be a hit every morning.